Director Leo McCarey is not as well remembered as John Ford, Alfred Hitchcock and Orson Welles, but he was an influential old Hollywood auteur for more than three decades, making classics like Love Affair (1939), The Awful Truth (1937), Duck Soup (1933) and our movie of the month, An Affair to Remember (1957). 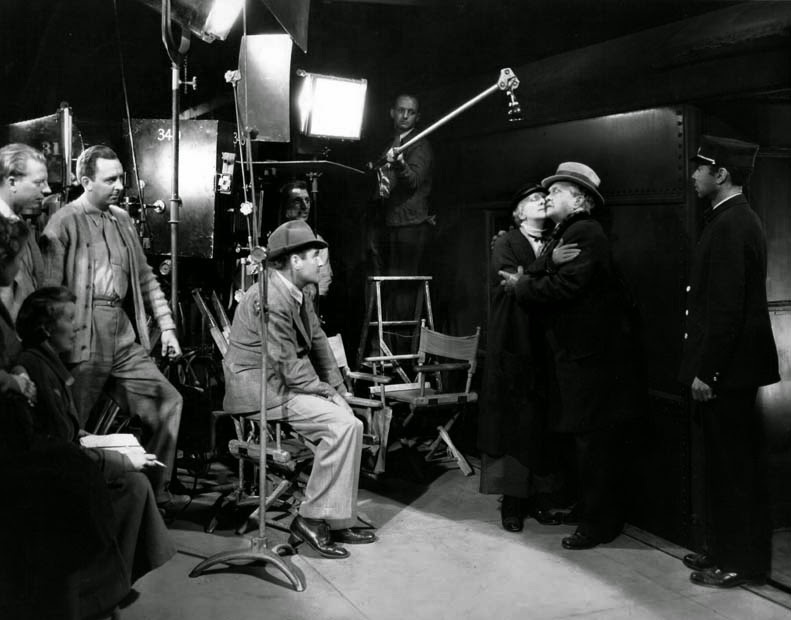 The photo above shows McCarey (seated center) directing Beulah Bondi and Victor Moore in Make Way for Tomorrow (1937). "I like my characters to walk in the clouds. I like a little bit of the fairy tale. Let others photograph the ugliness of the world. I don't want to distress people." Leo McCarey (1896-1969). Throughout his 30-year career, director Leo McCarey delighted audiences with his down-to -earth fairy tales. He was responsible for putting Laurel and Hardy together, directing the Marx Brothers' greatest film and making generations of movie fans swoon while Cary Grant romances Deborah Kerr. French director Jean Renoir paid tribute to McCarey's unique style by saying that the director "understood people better than any other American director." 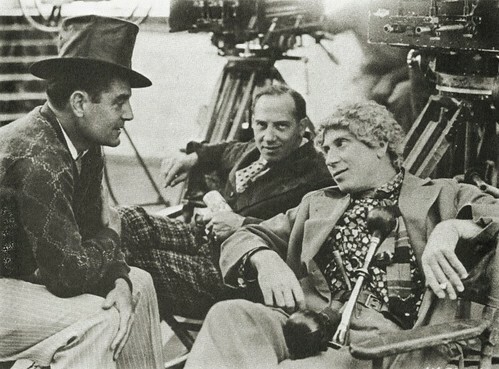 Leo McCarey on the set of Duck Soup (1933) with Chico and Harpo Marx. McCarey was born on Oct. 3, 1898, in Los Angeles. His father, Thomas J. McCarey was a boxing promoter, who wanted his son to become a lawyer. 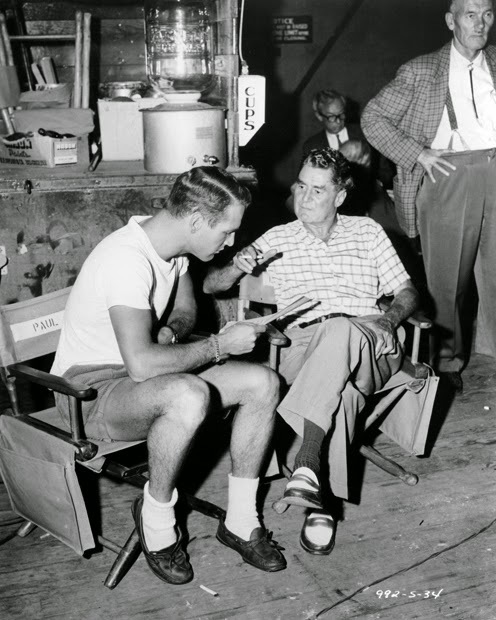 McCarey did graduate from law school, but he dabbled in several other careers (investing, copper mining, songwriting) before finding his calling in the film industry. Leo McCarey is featured in this vintage poster for The Bells of St. Mary's (1945). McCarey was hired by influential director Tod Browning (Dracula, Freaks). At first, he was a "script girl," but he quickly moved up the ladder. "When they discovered I could use big words like 'whereas' I zoomed upward," he said in an interview with United Press International. In 1923, McCarey went to work for Hal Roach, directing more than 300 short films, including the Charley Chase and Joe College series. McCarey was responsible for putting Stan Laurel and Oliver Hardy together as a comedy team when he noticed how well the two men worked together. McCarey was always deeply impressed by Laurel's ability to device clever gags for the duo (Laurel was often the de-facto director of Laurel and Hardy films), and deeply amused by Hardy's good-natured naivete ("it was astounding that he could even find his way to the studio," McCarey remembered). 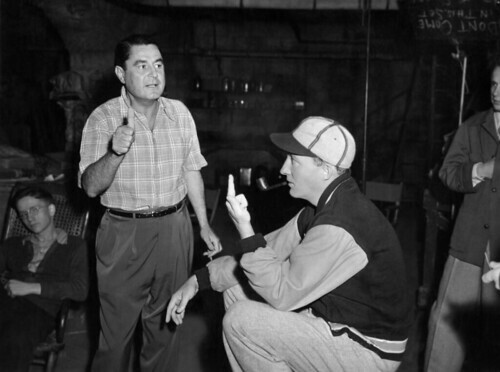 Leo McCarey and Bing Crosby on the set of Going My Way (1944). McCarey moved into feature films at the beginning of the sound era. McCarey made some of the most influential films of the 1930s, working in a variety of styles that ranged from knockabout comedy to serious melodrama. McCarey had a loose improvisational style that was honed from years of working on the Roach backlot. Bing Crosby, who worked with McCarey twice, remembered that 90 percent of what went onscreen was made up by McCarey on the day of shooting. 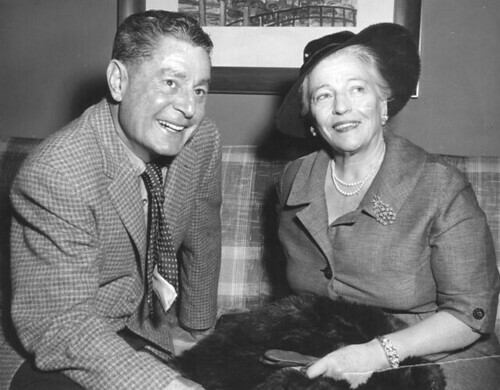 Leo McCarey and author Pearl Buck. His first sound film was Indiscreet (1931) starring Gloria Swanson; he also made films with Mae West (Belle of the Nineties, 1934) and W.C. Fields (Six of a Kind, 1934) during this time period. McCarey made what is probably the best Marx Brothers movie, Duck Soup (1933). McCarey was able to corral the quartet's manic energy into a workable plot that perfectly fit into the each of the brother's well-established personas (even Zeppo managed to be kind of OK in a decent part). Duck Soup is a sharp political satire that contains some of the brother's most memorable gags, including Harpo and Groucho's famous mirror scene (clip below). Ruggles of Red Gap (1935) and Make Way For Tomorrow (1937) are two of the finest statements about American life ever put on film. Ruggles of Red Gap stars the great Charles Laughton (surely he and James Cagney are the two greatest screen actors of the thirties) as a repressed English butler who learns to love democracy after he moves to the rough and tumble West. Leo McCarey and screenwriter Vina Delmar consult with Victor Moore and Beulah Bondi on the set of Make Way for Tomorrow (1937). Make Way For Tomorrow is a much darker film. 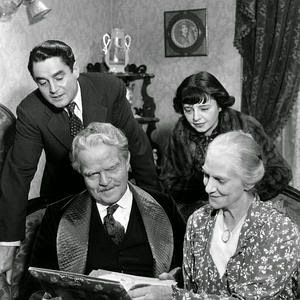 It tells the story of an elderly couple (Beulah Bondi and Victor Moore) who are forced to move in with their adult children after they lose their home. Make Way for Tomorrow is McCarey's most auteurist film (after all, it's the only McCarey in the Criterion Collection and the inspiration for Yasujiro Ozu's masterpiece Tokyo Story). For once, McCarey abandons the cloudless skies and fairy tales for an unflinching look at Depression-era America (we'll have much more on Make Way for Tomorrow next week). Paul Newman and Leo McCarey on the set of Rally Round the Flag, Boys! (1958). McCarey continued his winning streak with the classic screwball comedy, The Awful Truth (1937), which made a superstar out of Cary Grant. McCarey and Grant would go on to make two more films together, but the director never could figure out his complicated star. "Of the 16 hours a day that he's awake, I don't think there are 20 minutes when he isn't complaining," McCarey said. McCarey continued his winning streak with the under-rated boxing comedy The Milky Way (1936) starring Harold Lloyd and the classic romantic weepie Love Affair (1939) starring Charles Boyer and Irene Dunne (there's much more about that film here). 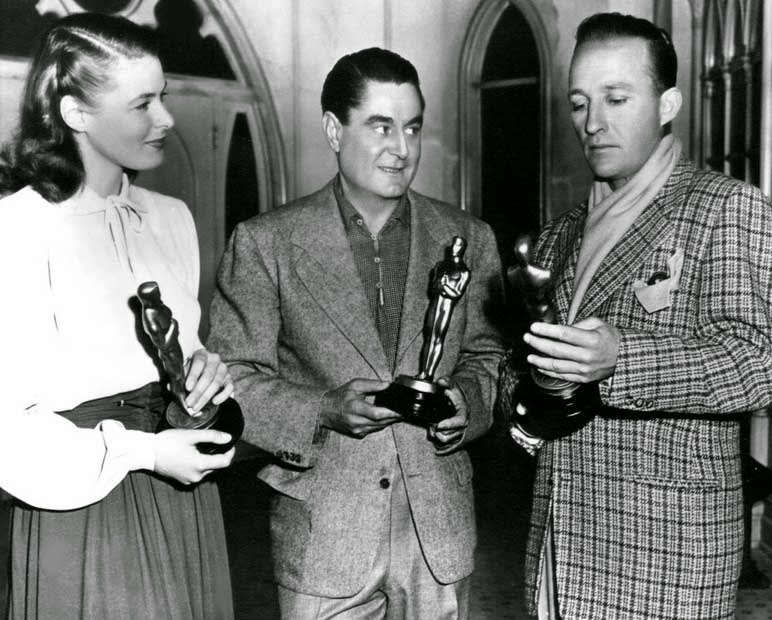 Ingrid Bergman, Leo McCarey and Bing Crosby check out their Oscars. McCarey was involved in a serious car accident in 1940. He returned in 1942 with the rom-com Once Upon a Honeymoon (1942) starring Grant and Ginger Rogers. The devoutly Catholic Carey turned to more serious material in the mid-forties. He made his most popular film, Going My Way, in 1944. That film follows Father Chuck O'Malley (Bing Crosby) as he takes over the inner-city parish of St. Dominic's from Father Fitzgibbon (Barry Fitzgerald). Going My Way was a smash hit earning seven Oscars, including Best Picture, Best Actor and Best Supporting Actor. 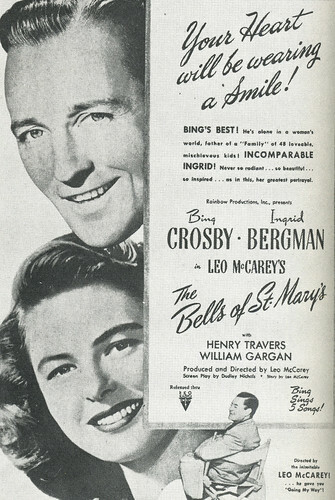 He followed Going My Way with a sequel, The Bells of St. Mary's (1945), which added Ingrid Bergman as Sister Mary Benedict, a character who was largely based on McCarey's own aunt. Both films were smash hits, making McCarey one of the richest men in America. McCarey's career slowed down in the late forties. He did have one certified smash hit, An Affair to Remember (1957), which was a Love Affair remake starring Grant and Deborah Kerr (more here). Rally Round the Flag, Boys! (1958) was a mildly successful rom-com starring husband-and-wife team Paul Newman and Joanne Woodward. McCarey's two other films, My Son John (1952) and Satan Never Sleeps (1962), were stridently anti-Communist and poorly received by critics and the public. 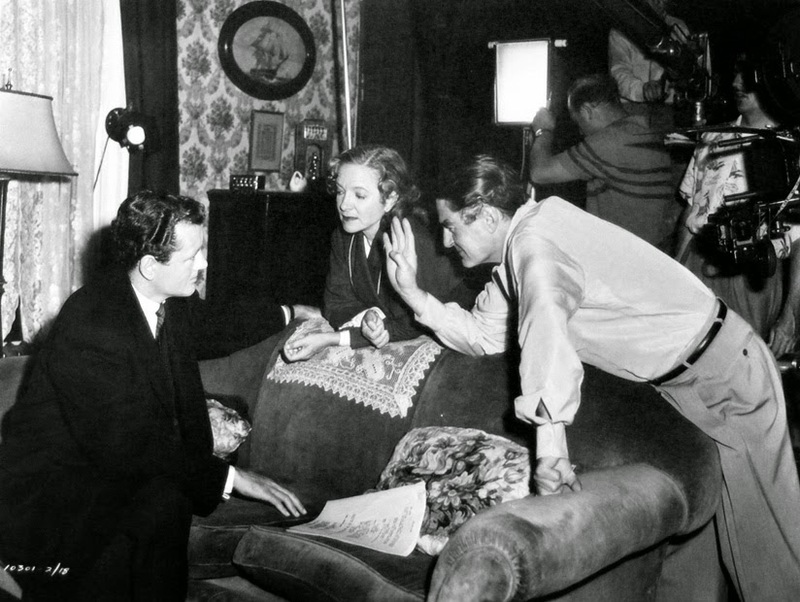 Leo McCarey directs Robert Walker and Helen Hayes in My Son John (1952). McCarey passed away on July 5, 1969, in Santa Monica, Calif., from emphysema. He is buried in Holy Cross Cemetery in Culver City.